A Proud Moment for BLH: Obtaining Veteran Owned Small Business Designation | BLH Technologies, Inc.
One of the proudest phases of my life was the period I spent serving our country in the U.S. Army Reserves. I enlisted when I turned 18 and quickly rose to the rank of Captain. I served my country in Operation Desert Storm. As a medical services health officer, I applied the knowledge I learned in the Army to prevent and treat illness and injury for military personnel. It wasn’t always easy; in fact, it was never easy. But I was honored to do it, to serve my country in my own small way. Military service is the gift that keeps on giving. There are tangible benefits such as career experience and access to Department of Veterans Affairs benefits. Then there are the intangible benefits such as learned leadership ability and life experience. I wouldn’t trade my time in the Army for the world. 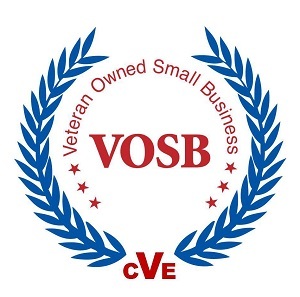 Earlier this year, BLH Technologies, Inc.® received another benefit—we completed the U.S. Department of Veterans Affairs’ adjudication process to become an officially verified Veteran-Owned Small Business, or VOSB. I am honored that my company can participate in this forward-thinking program. Being verified as a VOSB is not as straightforward as registering in other categories (such as being a woman-owned or a minority-owned business). We had to prove that I, as a veteran, own and operate my company, and we had to prove my status as a veteran. We also had to prove that the company is in exceptional standing and is fulfilling all legal requirements. This process was arduous, but well worth it. There are advantages to being a VOSB, such as access to loans from the Small Business Administration and certain government contracts. More valuable than that, however, is that we at BLH can wear the seal of our verified VOSB status as a badge of pride. Our clients now know that I am proud of my service and that I bring the values I learned in the Army—duty, honor, hard work, and seeing a task through to completion—to our workplace. Nothing compares to the pride of the uniform. But our newly obtained status as a VOSB certainly rates.